The site is thirty minutes by car from Madeira Airport, 18 kms east of capital Funchal. We are able to pre-book transfers for your journey between the airport and Village Cabo Girão; the cost (one way) is 16€ (£15) per adult, 8€ (£7.50) per child. If you prefer, hire cars can be collected from the airport or delivered to the site. (Although taxis are widely available, car hire is recommended for those wishing to explore the island independently and for those with mobility problems). If you’re driving yourself, leave the airport and follow the main “Via Rapida” highway West in the direction of Funchal. Leave the international airport at Santa Cruz, 18 kms east of Funchal, and follow the main “Via Rapida” highway west, in the direction of Funchal. At Junction 9, go straight ahead. Do not take the slip road to the left marked Funchal Hospital, nor the slip road to the right. After passing Funchal, follow the signs for Ribeira Brava and Camara de Lobos. At Junction 4 (25.4 kms) take the right slip road with the sign to Ribeiro Aforro and Fajas Cabo Girão. After 100 ms you will see a small sign for Fajas Cabo Girão. Turn left. At the T-junction turn left. The road starts to climb and leads to a sharp right-hand bend. At 25.9 kms look for a sign to the left for Fajas Cabo Girão and Caldeira (written in brown). Follow this road for nearly 2 kms. At 27.3 kms look for a sign for Cabo Girão (written in brown) and turn right. The road climbs upwards reaching a sharp bend to the right. 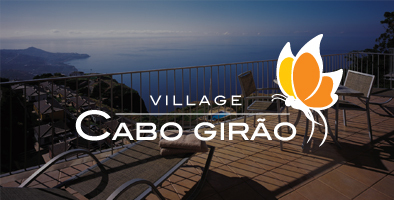 At this point the road passes the villas of Village Cabo Girao and the apartments to your right. Continue over six speed bumps. At 29.2 kms is the reception, located in the Clubhouse on the left-hand side. Parking is available outside the entrance to the Clubhouse, where you can collect the keys to your property. Should you miss the exit for Junction 4, continue along the road for a further three kms, passing through three tunnels, and then exit at Junction 3, signposted Quinta Grande and Cabo Girão. At the end of the slip road turn right following the road uphill, passing a sign on your right indicating Centro de Saude (medical centre) after which you will come to a T-junction where you turn right, signposted Cabo Girão. A couple of metres on your left you will pass an ATM and then on the same side a small café. Follow the road uphill (crossing over two black and yellow speed bumps). You will then enter a large car parking area for the Cabo Girão viewing platform. Driving directly through it, you will see ahead of you the sign at the entrance to the site. Turn right into the site, going downhill, and the Clubhouse building with reception is the first building on your right. Copyright © 2019 Village Gabo Girão. All Rights Reserved.